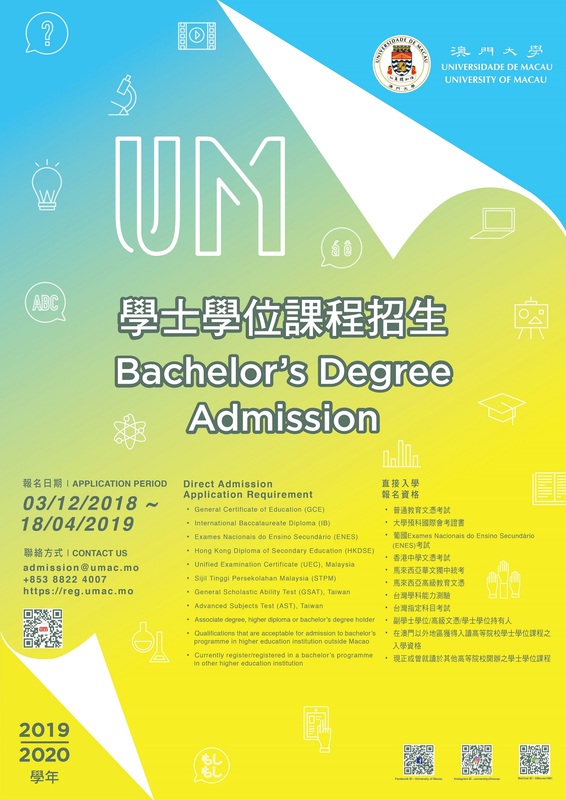 Programmes of 2019/2020 is now open for application. 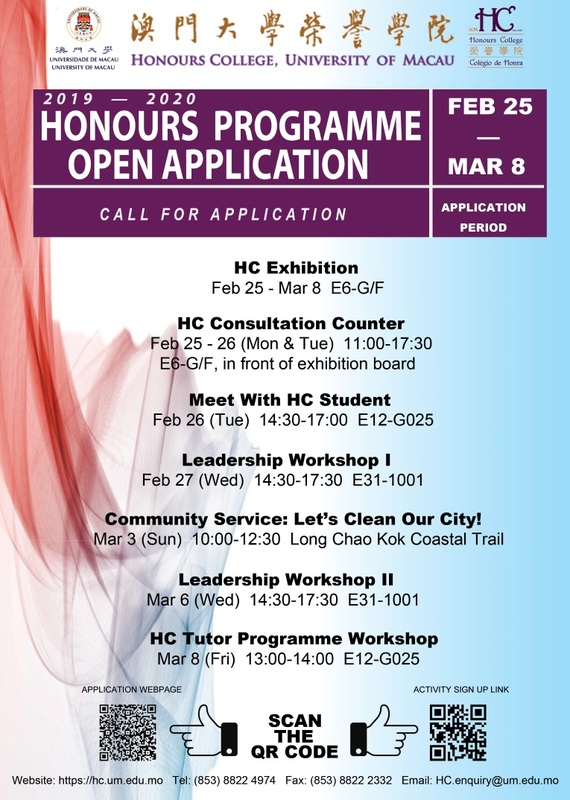 Honours College Promotion Activity Series: "Leadership Workshop I"
Event Name Honours College Promotion Activity Series: "Leadership Workshop I"
Content This workshop aims to demonstrate approaches to interactive lecturing, which involves combining lectures and active learning strategies. 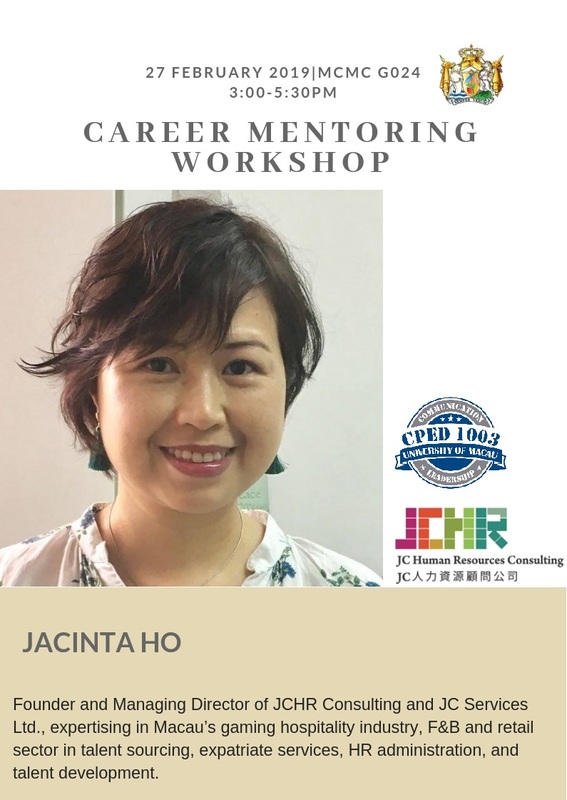 Content Jacinta Ho, founder and Managing Director of JCHR Consulting and JC Services Ltd., will be providing professional career mentoring workshop to students with a focus on career selection, aptitude test, market information, and interview skills . 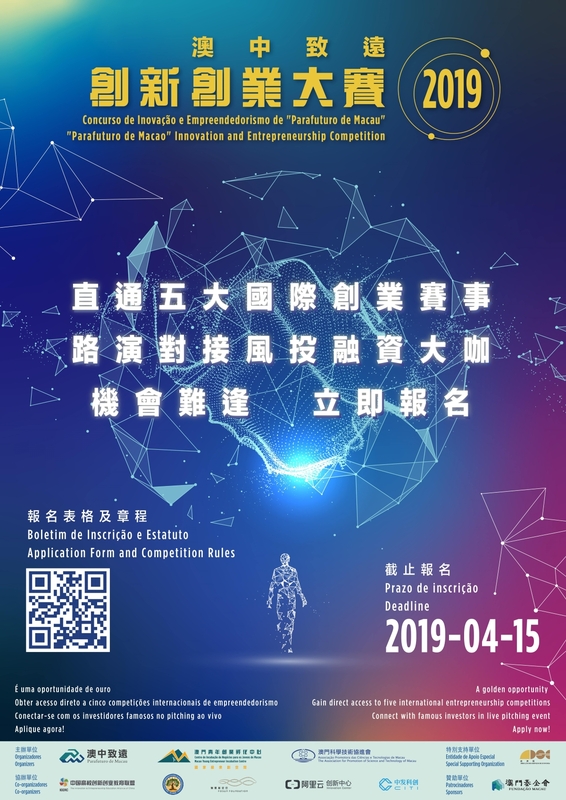 She has more than 20 years of expertise in Macau’s gaming hospitality industry, F&B and retail sector in talent sourcing, expatriate services, HR administration, and talent development. 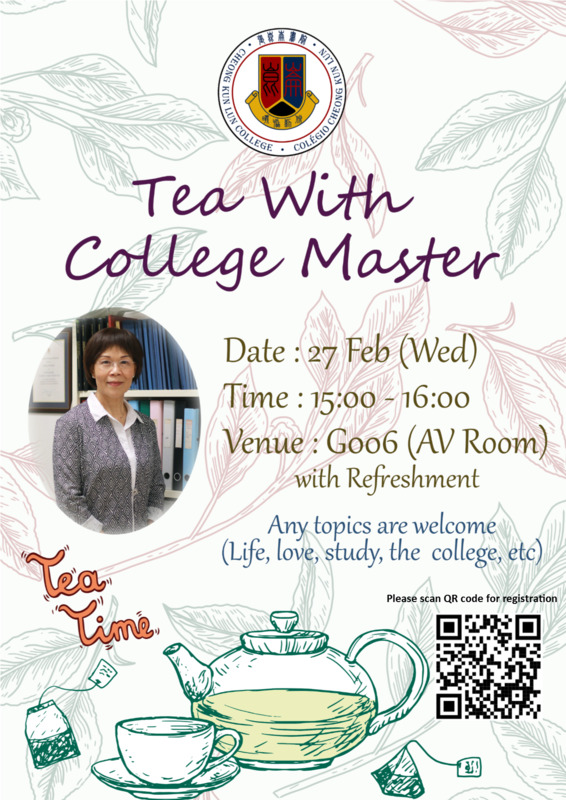 She is a regular speaker at local and overseas universities and NGOs on career matters and human resources policies and practices. All are welcome. 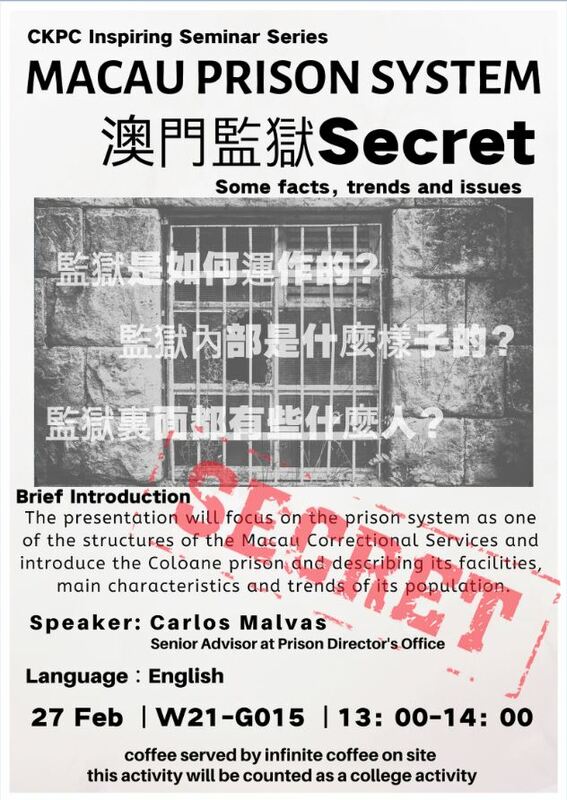 Recruitment talk - TDM - Teledifusão de Macau, S. A. 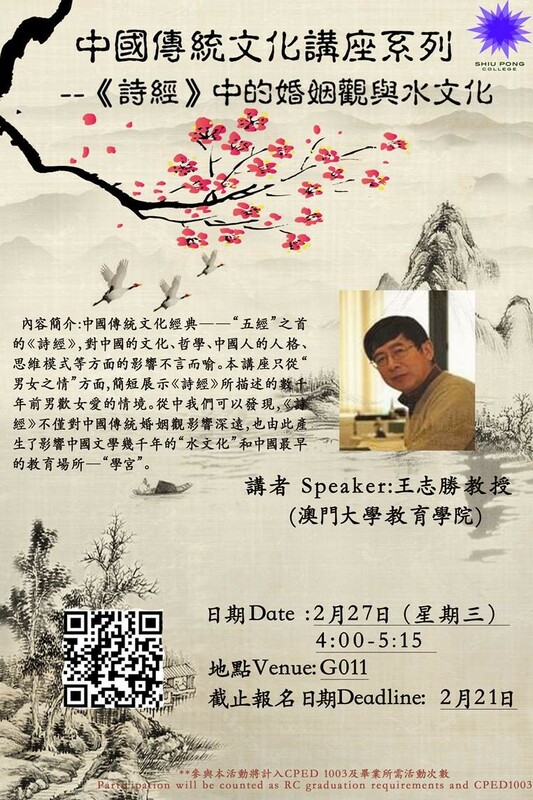 Event Name Recruitment talk - TDM - Teledifusão de Macau, S. A.
SPC Traditional Chinese Culture Seminar Series - "The Book of Songs"
Event Name SPC Traditional Chinese Culture Seminar Series - "The Book of Songs"
Content This workshop is divided into two parts. In the first part, the differences in verbal and visuospatial working memory (WM) of four groups of adult native (L1) speakers (i.e., Mandarin, Cantonese, Korean, and English) are briefly introduced. The findings suggest that reading experience in L1 probably affects cognitive resources such as visuospatial WM, which is consistent with the literature. 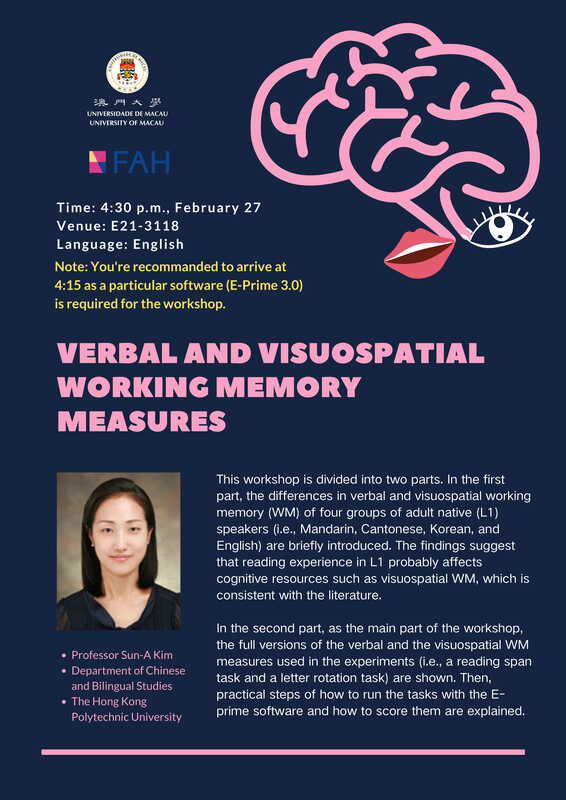 In the second part, as the main part of the workshop, the full versions of the verbal and the visuospatial WM measures used in the experiments (i.e., a reading span task and a letter rotation task) are shown. Then, practical steps of how to run the tasks with the Eprime software and how to score them are explained. 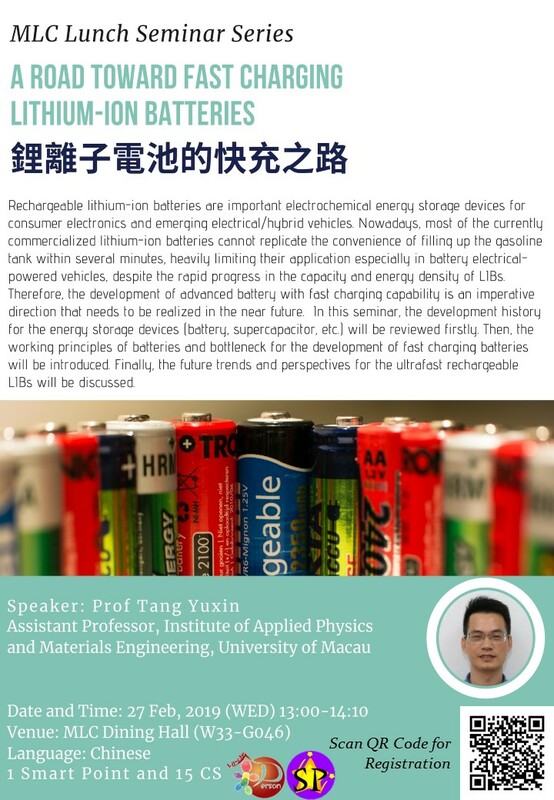 Note: You’re recommanded to arrive at 4:15 as a particular software (E-Prime 3.0) is required for the workshop.